Natural wood finish Hole-In-One plaque. 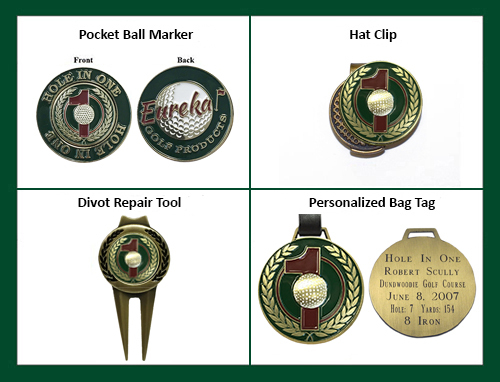 Hole-In-One symbol is laser burned and engraved brass plate with details of hole in one is affixed to the plaque. You insert ball. Holds a 8"W x 6"H scorecard behind an acrylic cover. The size of the engraved brass plate allows for you to include the city and state or witnesses (nominal charge) but not both.